Have bats invaded your home? How do you get rid of them, and make sure that they stay out? And how do you get them out without killing them? Given below, is a comprehensive guide on how you can get rid of bats in your house, and keep them out. Solving your bat problem is not an easy task, especially when you are the only one suffering from it. You can always seek the help of a professional for this job, but if you are bent on doing it on your own, then hats off to you. Be prepared to stay firm though, for getting them out is not as simple as it sounds. Let’s get right down to business and learn how you can get rid of bats without calling in a professional. home might be. It could be an open window in the attic, or a hole in the roof, etc. Once you have found the place from where they enter your home, then it’s time to follow the ‘breadcrumbs’ and find out where they lead. The path will lead to that particular place in your home where these creatures have taken refuge. 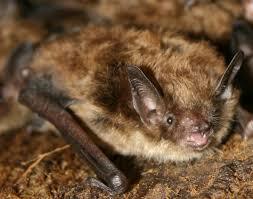 Try to determine which species of bats have entered your home and the damage, if any, caused by them. Bats have a tendency to fly away and back repeatedly, from dusk till dawn. They usually rest in tight areas that can keep them warm and toasty which in most cases are attics. Plus, they don’t usually come out into the open and prefer to ‘stick’ or hang onto walls or beams. However, before attempting to remove them from your home, make sure to determine which species you are dealing with. This will help you deal with them better. When you have bats residing in your house, one thing is for certain, your home has several entrance points. These might be holes or gaps. Find all of them immediately. Then seal them all off, except the major ones. Now you just need to get rid of the pesky critters that are already in your home. This stage is the exclusion stage. In this stage install a one-way device for exclusion at the main point of entrance/ exit for the bats. There are different types which can be used like, netting, screening, cones, or funnels. The type of device you use depends on the structure of your house. The device must be set perfectly, so that the bats can easily fly out at night, without detecting any problem. Then you just need to adjust the device, whether netting or funnel, so that they cannot come back in. This sounds quite simple, but doing it and then pulling it off, is actually quite difficult. You need to be spot on with your timing. It is crucial to get it right the first time, or you will face a world of pain, which you truly want to avoid. o that no bat can ever enter your home again. Bats have great memory, so they will try to find an opening back in your home; don’t give them a chance to find one. If you have made certain that the house is thoroughly checked and then repaired, then there is no way for the bats to reenter your home. They cannot claw or bite their way back in once the hole is filled up, so you will be sure to live a bat free life. Last but not least, clean up! 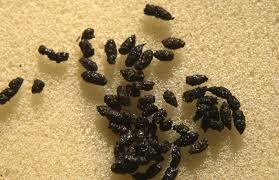 As mentioned before, bat droppings are a nightmare to deal with. Once you are done with getting these winged creatures out of your house, you will need to deal with the mess they leave behind. If left for long, this can cause great damage to your floor and surrounding walls; the wood will get corroded and mold will start appearing on the walls which can have an adverse affect on your health. So it’s best to prevent this from happening and clean it up, right after you’ve successfully gotten rid of them. After you have followed through all of the aforementioned stages, rigorously and religiously, it is time to live a happy, healthy and bat free life in your home. However, keep in mind, that this is by no means an easy feat, and must be done with caution.